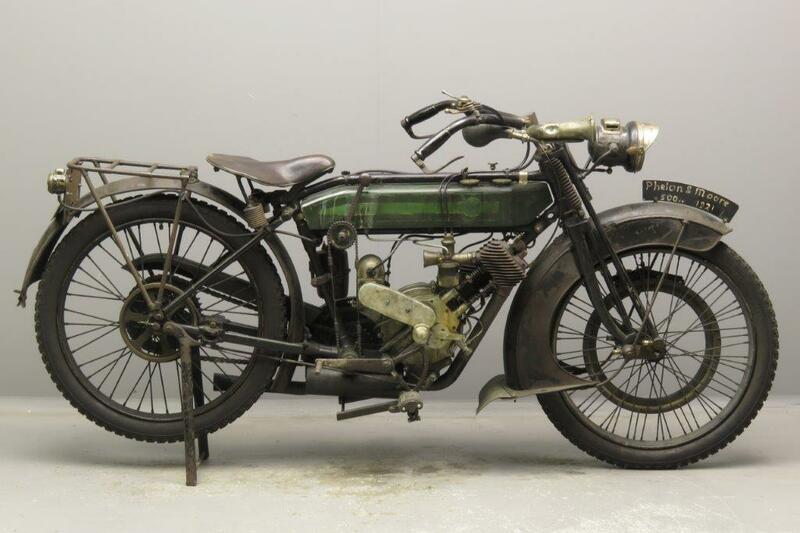 Phelon & Moore (P&M) was founded in Cleckheaton, South Yorkshire in 1904. 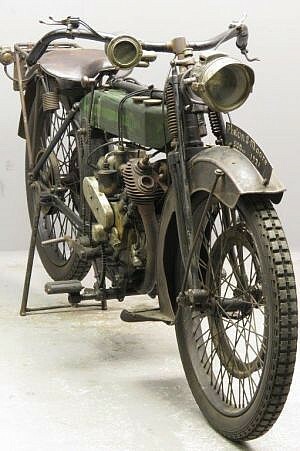 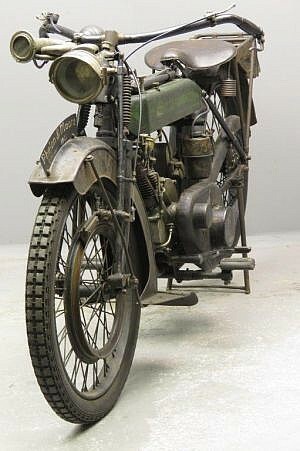 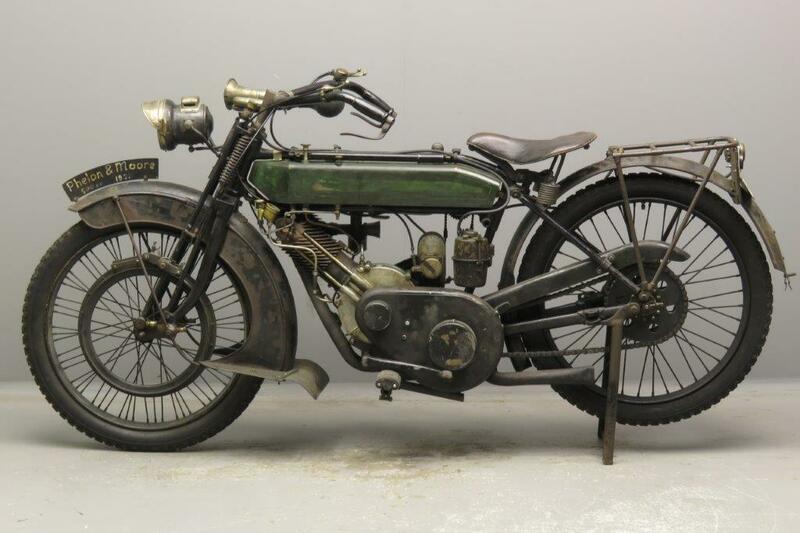 Joah C. Phelon, partner with Harry Rayner in a small engineering business in the town, had built his first prototype motorcycle in 1900, the rights to which were bought by the Humber company. 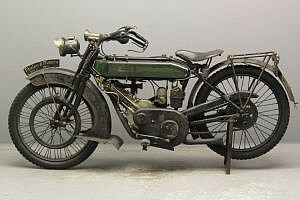 Following Rayner’s untimely death in 1903 Phelon entered into a fresh partnership with Richard Moore. 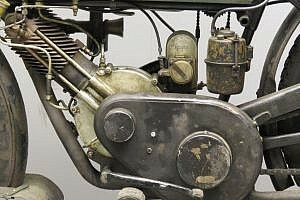 Phelon’s first designs had featured engines with inclined cylinders forming part of the frame, and this trademark arrangement was continued by the newly formed P&M. 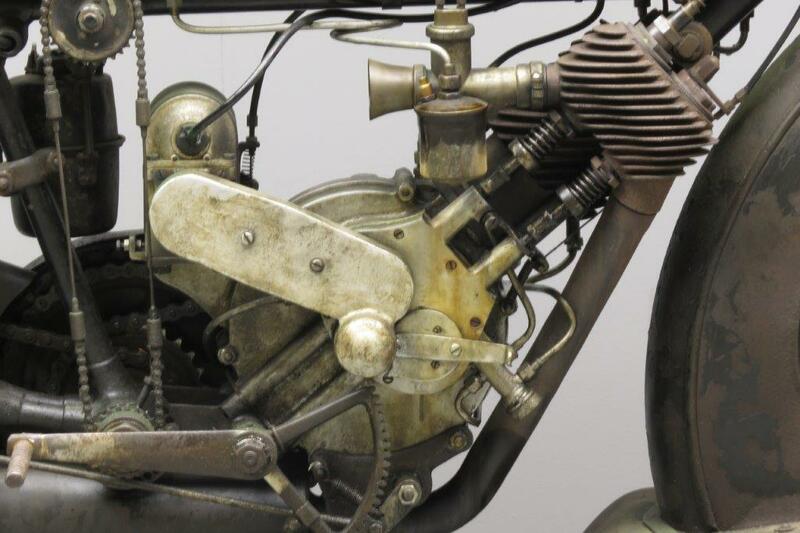 One of the firm’s first developments was a two-speed gear consisting of a pair of chains and a selective clutch, which would remain a P&M feature into the early 1920s. Another practical feature is the mechanical lubrication system consisting of a pump that is positively driven by a worm on the exhaust cam wheel. The pump forces oil alternately to the cylinder and to the big end. Some practical improvements for the 1921 model were the new “dummy rim” front brake that replaced the bicycle-type stirrup and the cushioning device that is incorporated in the engine sprocket. 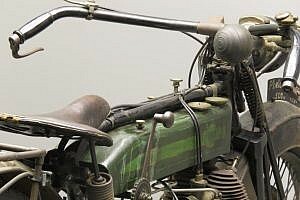 The engine has bore x stroke of 83×89 mm and the complete motorcycle weighs about 260 lbs. This interesting vintage machine is fitted with Miller acetylene lighting system and is in “touched up” authentic condition.